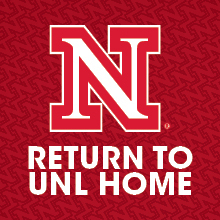 apply now UNL LocationsUNL MyStyle Checking was created specifically for UNL college students. With this checking account, your student can choose three options that fit their needs. There are many easy ways to access their account and a low $50 minimum opening deposit. You can also be signer on the account. Students with primary residence outside of the U.S. should visit a branch to open an account. For ages 16-25. $50 opening deposit. (1)Within 60 days of account opening you must enroll in e-Statements via Online or Mobile Banking and have 10 debit card purchases posted (excludes ATM transactions). $50 credited to active account within 10 days of month-end if both requirements met. New checking account customers only. Cannot be combined with other offers. (2)ATM Usage Fee at non-UBT ATMs waived (excludes surcharges ATM owners may assess). (3)$10 deposited to active account within 30 days of account-opening month-end.